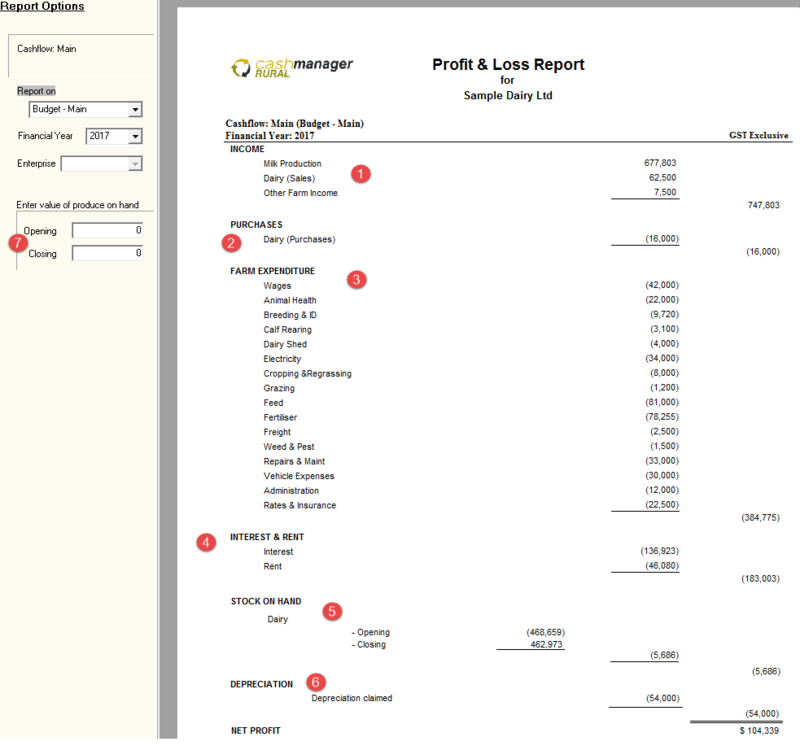 The Cashmanager RURAL Profit & Loss (P&L) report helps you to see at a glance your cash position for the financial year, before any accountant’s adjustments are made. If you want to analyse the current financial year, or a budget or 'what if' scenario you've prepared, the P&L report supplies you with an indication of taxable profit. For a more detailed report that also displays key performance indicators, try the Performance Summary (EFS) report . NOTE: This report displays all transaction information for the selected financial year including balance date payable and receivable items i.e. items that you pay or receive income for in the current financial year that relates to the prior year.